Seachange Lodge offers you exclusive self-contained absolute waterfront apartments with stunning panoramic views of Erakor Lagoon. The perfect spot to relax and unwind. Just minutes from central Port Vila, yet giving you the feel of your own private slice of paradise. 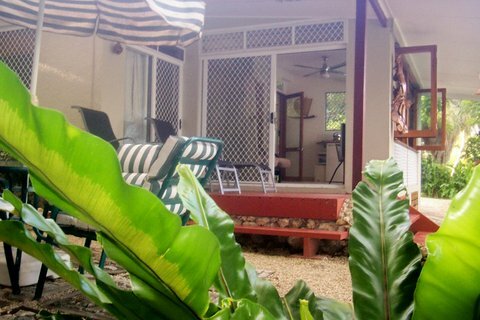 Seachange Lodge is your Private Holiday Home Away From Home. 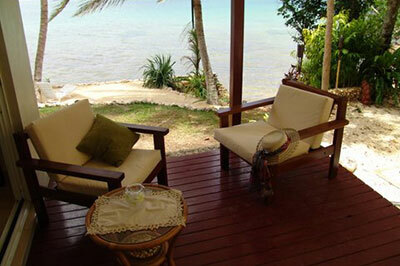 If you are looking for Value for Money, Romance, Adventure, or just Relaxation, Seachange Lodge is the place for you. 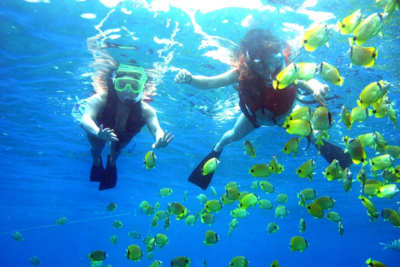 Special group rates for weddings, school and family groups. 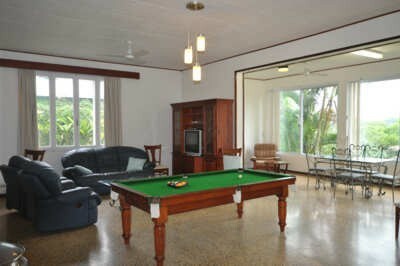 Seachange Lodge is located only 10 minutes from down town Port Vila, in the Happiest Country on Earth. 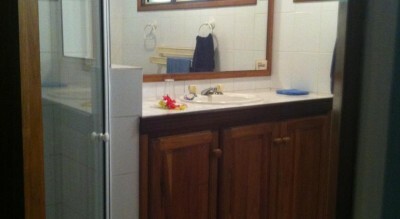 Close to several superb restaurants and a well stocked supermarket. Kayaks are available for guests who wish to explore the lagoon, as well as free access to our 300+ DVD library. 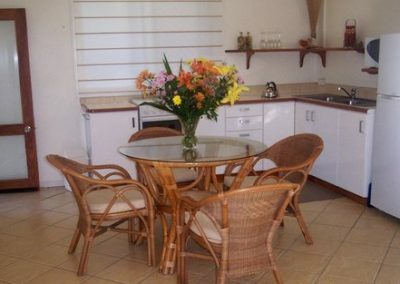 We have a wide range of accommodation to suit every budget, with a choice of the Waterside Chalet, two bedroom/two bathroom Lagoon Lodge, two bedroom/two bathroom Garden Cottage, or one of the Lagoon view Studios. 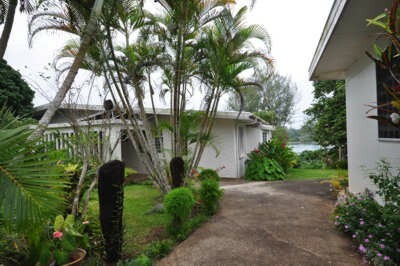 All with breathtaking views of Erakor lagoon, plus enjoying the gentle trade winds. 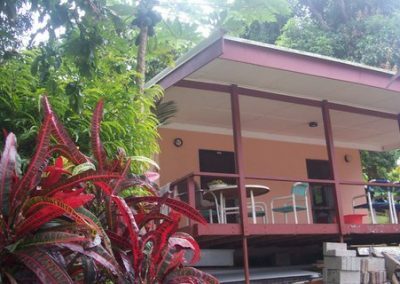 If you are looking for itimacy, peace & quite, with unique waterfront self-contained accommodation, you need look no further than the Waterside Chalet, Seachange Lodge. 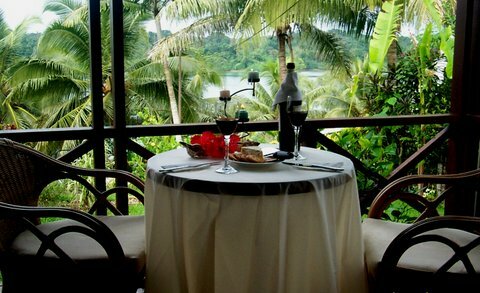 The views of the untouched wilderness across the lagoon are absolutely stunning. The Chalet is truly a world of its own. The Waterside Chalet is the ultimate in privacy and pampering, with your own private spa, right on the shore of Erakor Lagoon. The ideal spot for a honeymoon, or just to put a sparkle back into a relationship. 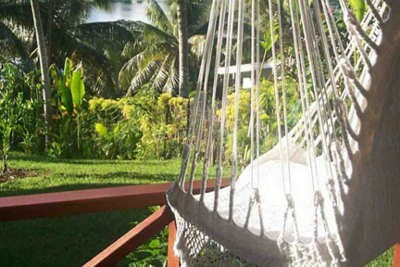 Or simply to give yourself a luxurious break and Discover What Really Matters! 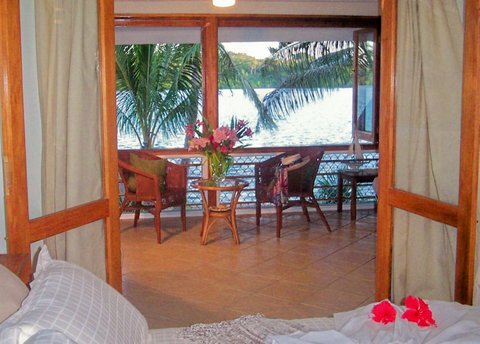 The spacious two bedroom/two bathroom Lagoon Lodge, at Seachange Lodge, is nestled right on the shores of Erakor Lagoon, set in lush tropical gardens. It is the perfect boutique romantic hideaway for your tropical island R & R. A place to recharge your batteries. The large outdoor area and barbecue are ideal for cooking your fish, or organic steak. 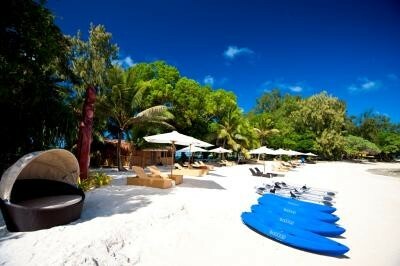 The ideal holiday spot for two couples, or a family group. 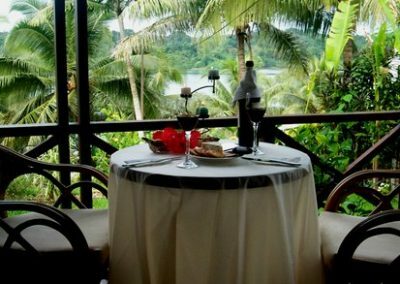 You don’t feel you are just 5 minutes from downtown Port Vila. 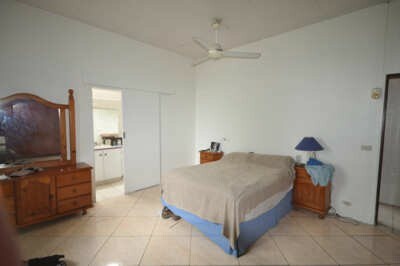 There are fans thoughtout the rooms, plus the main bedroom is air conditioned. 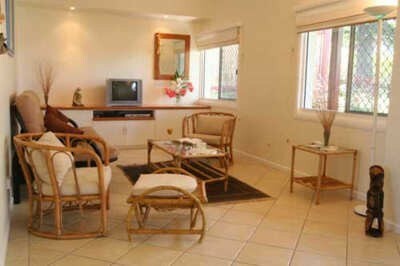 Large windows open outwards to give panoramic views of the lagoon and let in the gentle tropical breezes. 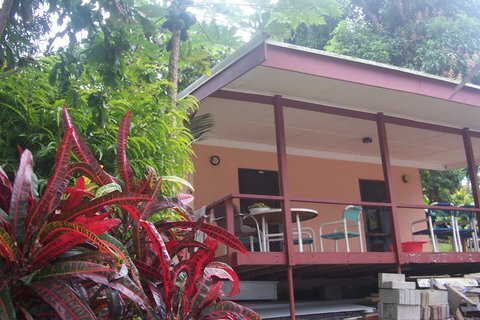 The Lagoon Lodge can comfortably accommodate up to five people. The Lodge has a DVD player and TV, plus you have free access to 300+ DVD library. 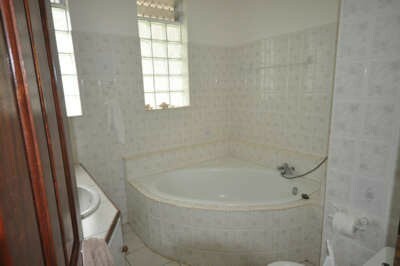 The Garden Cottatge is for you if you want the luxury of that extra space of a two bedroom, two bathroom cottage. The queen bedroom has air conditioning, for added comfort. Wireless Internet is available for those who feel it necessary to keep up to date with their emails. You can cook your organic Vanuatu steaks on the portable barbecue, or in the full size kitchen. You have 15 channel satellite Telvison, plus a DVD player. You also have free access to over 300+ DVD library. 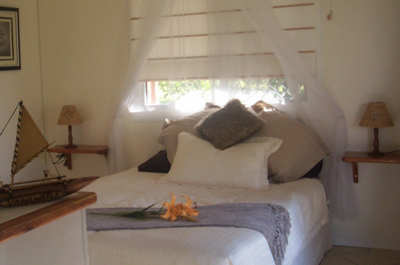 The Garden Cottage can comfortably accommodate up to 6 people. 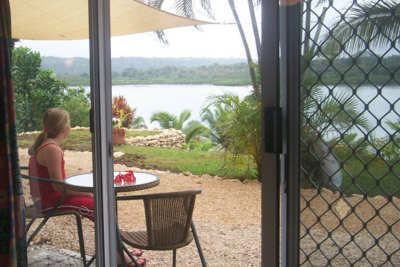 Panoramic views of Erakor Lagoon from the wide verandah. 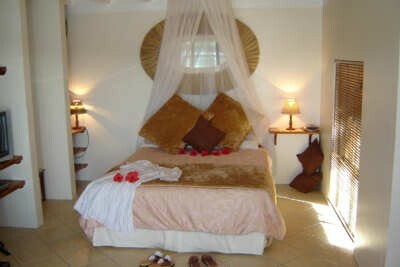 The Garden Cottage is just a few steps from the swimming pool, where you can laze, overlooking the lagoon. 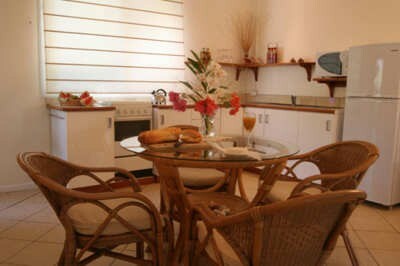 Tastefully decorated, the studios make the absolute most of the space, giving you a feeling of comfort and luxury. Lagoon View Studio, the larger of the studios, could comfortably accommodate three people. 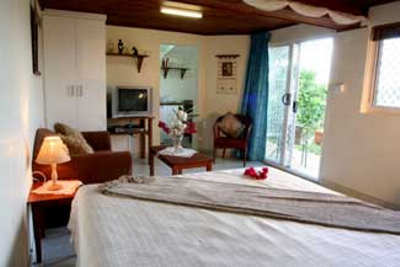 Lagoon View Studio 2, with a totally seperated kitchen, is ideal accommodation for a couple, or just one person. The studios have 15 channel satellite TV, plus a DVD player and free access to a 300+ DVD library. 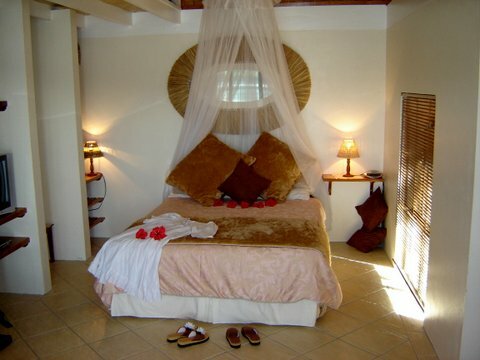 Choose from a King Bed or Twin bed bungalow with en-suite and fully tiled bathrooms with showers. 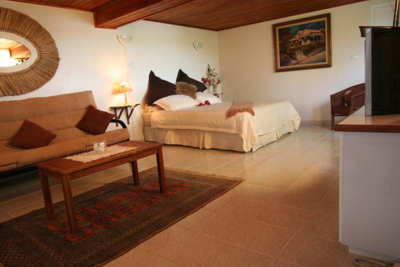 The rooms are air-conditioned and also have ceiling fans. 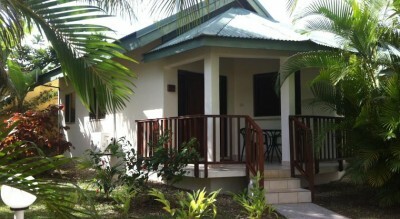 These bungalows are over 40sqm in size. 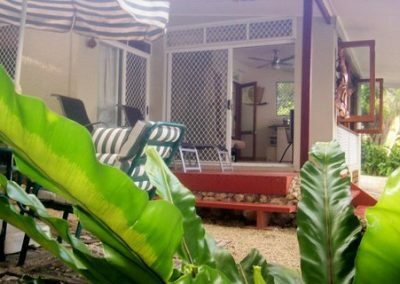 A well equipped kitchenette has a gas cook-top and microwave, full size fridge/freezer, and tea/coffee making facilities or our BBQ area by the pool offers an excellent alternative. 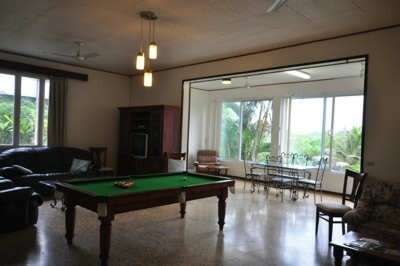 Large living and entertainment room complete with pool table. 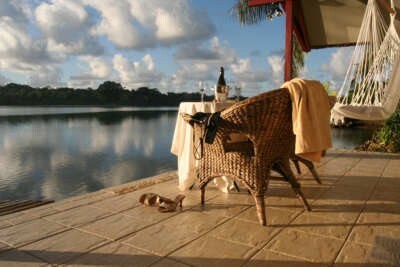 Canoes and kayaks are available for guests who wish to explore the lagoon and swimming pool; at Seachange Lodge. Outdoors entertainment areas, including BBQ. 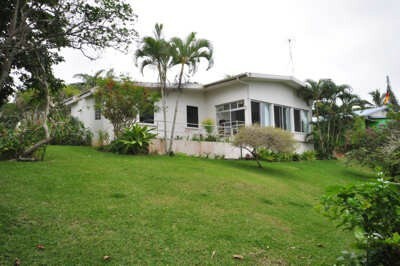 Minutes walk to downtown shops, Restaurants and Supermarkets. 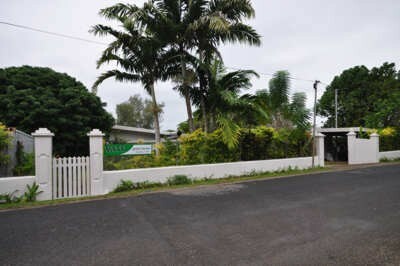 Spacious 3 bedroom 2 bathroom Colonial home a couple of doors down from the Seachange Lodge. 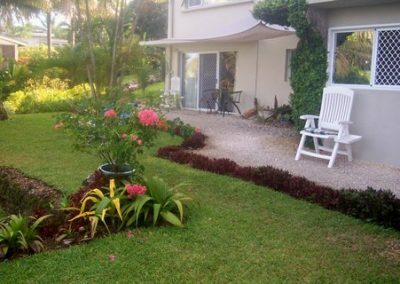 With lagoon frontage, and beautiful lagoon views from the living area, this house provides ideal accommodation for one or two families or large family group. 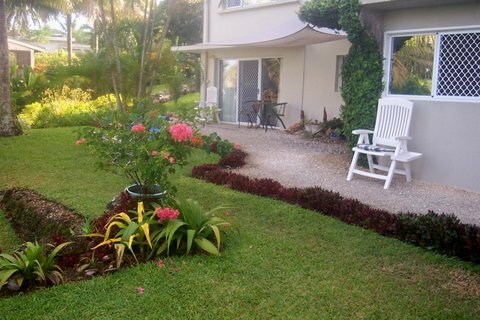 The property sits on one full acre with colourful gardens and numerous fruit trees. 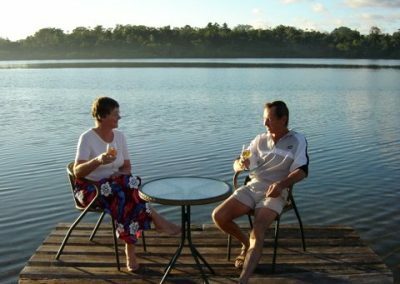 Activities at Seachange Lodge, located in the tropical islands of Vanuatu, in the dream holiday destination of the South Pacific, is all about relaxing and finding Discovering Really Matters. 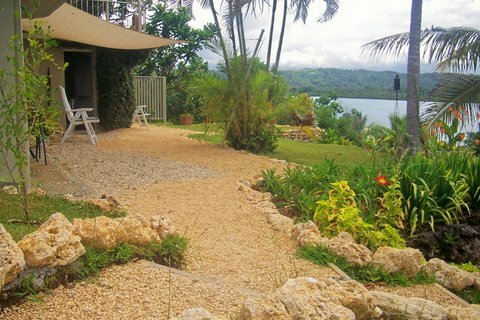 The perfect spot for R & R. Your Home Away From Home, so you can explore the exotic ambience of the tropical islands of Vanuatu, or just laze around and do nothing at all, recharging your batteries. 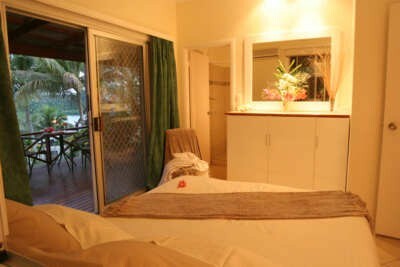 The perfect ‘get away from it all’ and the best kept secret in town. Swim in the lagoon, or our swimming pool. Veg out and watch some DVD’s. In short, throw away your watch and enjoy ‘Island Time’. 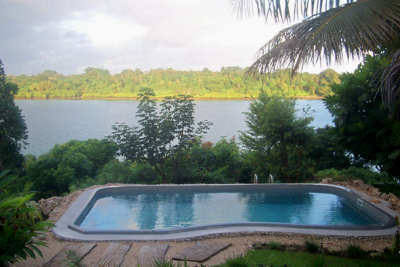 You can laze by the swimming pool and enjoy the view. 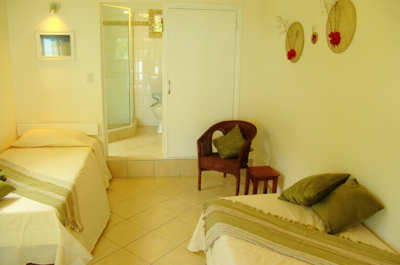 If you have booked the Chalet, relax in your own private spa. 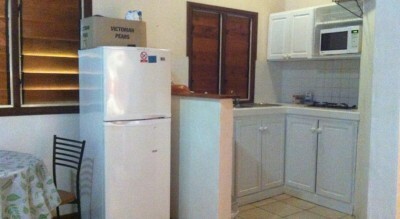 Cook an at home meal in your self-contained apartment, or go out to any number of great restaurants, close by. 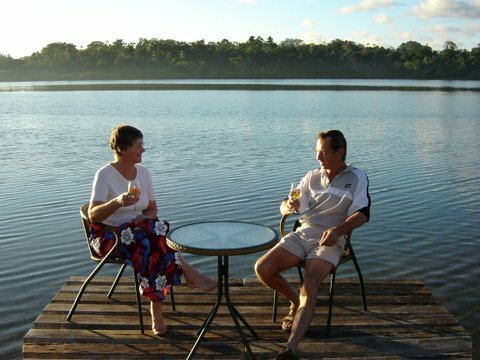 Go fishing in Earkor Lagoon and catch your own dinner, or buy a fish off a local fisherman. 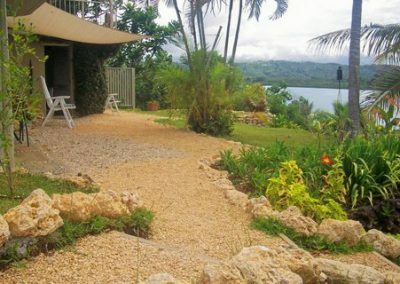 When you arrive at Seachange Lodge it is time to forget about work and just enjoy the tropical gardens, wonderful ambience and the friendly people of Vanuatu, (voted the Happiest Country On Earth in 20006). 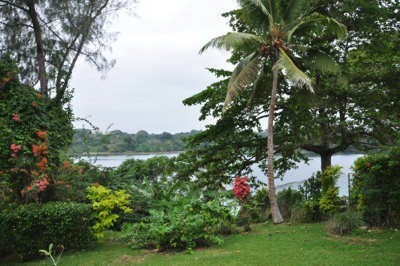 In Vanuatu you can throw away your watch and live on Island Time as you Discover What Really Matters! 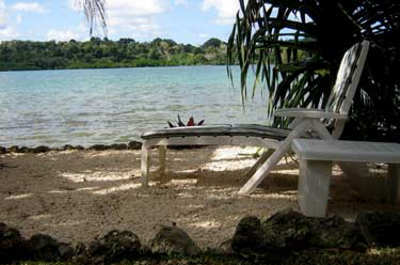 Read a comprehensive Vanuatu Travel Guide here. 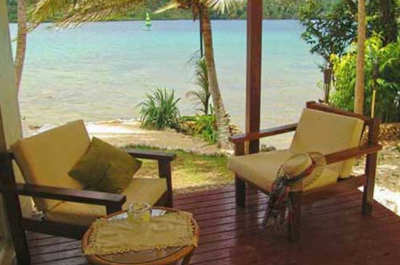 Every time I go to Vanuatu I stay at Seachange Lodge. I love the fantastic view and the beautiful gardens. Above all I love the peace and quiet. This is such a peaceful, beautiful, place. Wonderful and friendly owners. We can’t wait to come back. Thank you so much. Great hosts and lovely spot! Many thanks. What a great reatreat! Wonderful service and heartfelt people. Thank you so much! We really enjoyed our time at Seachange Lodge. The best holiday we ever had. I’m coming back with my family next time. 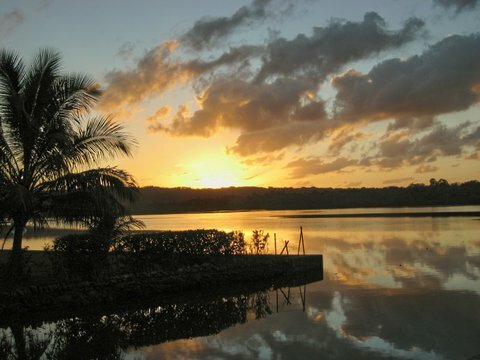 Just a lovely introduction to Vanuatu. Relaxed atmosphere, superb views and just loved the pool! We will return and be certain to tell our friends about Seachange. Located in the norhwest corner of the South Pacific, Vanuatu is a short flight from the east coast of Australia, Auckland New Zealand, New Caledonia and Nandi Fiji. There are several flights weekly. What kind of currency will I need in Vanuatu? 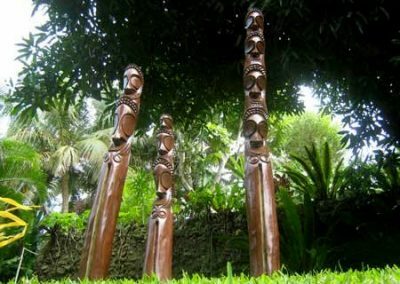 Vatu is the local currency in Vanuatu. 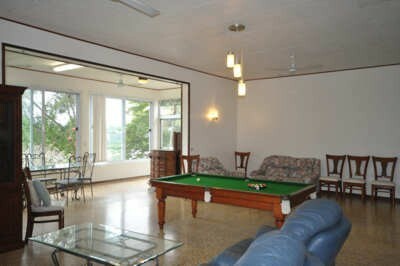 You can change a few notes at the airport, but it is better to do it down town Port Vila. Will I need a visa in Vanuatu? You do not need a visa in Vanuatu, unless you are from countries such as China. 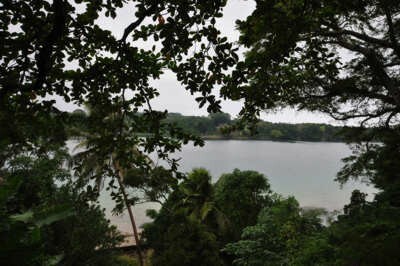 What language is spoken in Vanuatu? English, Bislama and French are the spoken languages in Vanuatu. You can get by using only English. Vanuatu does have over 150 langues, but these are spoken only by the islanders. Do I need to tip in Vanuatu? Tipping is discouraged in Vanuatu. 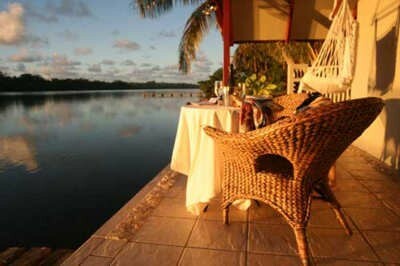 Can we get married in Vanuatu? 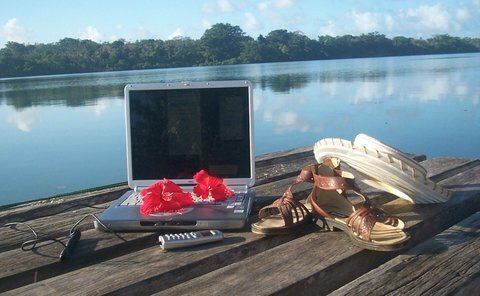 There are many wonderful wedding facilitators in Vanuatu who will take care of all your needs for that very special day. Your marriage certificat is recognized in other countries. You can get married in just three days if you really want to. 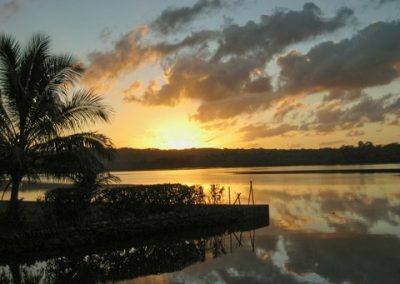 Is it safe to move around in Vanuatu? 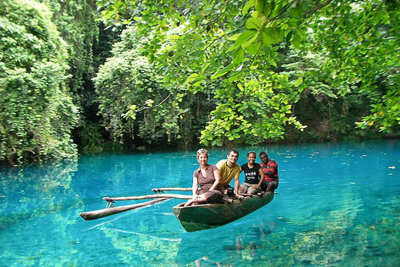 Vanuatu was voted the Happiest Country on Earth in 2006. You will find the people friendly and only too happy to assist the visitor. There is no problem moving anywhere in Vanautu and there are no nasty creepy crawlies with poisonous bites, waiting for a victim, in the bush. The only word of caution, as in any country in the world, it is not advisable for women to wander around on their own at night. There is always the rebel element in every society who want to make fun after a few drinks. Absolutely. We never buy water ourselves, but drink from the tap. You need to book early to avoid disappointment and to get our special online rates. Plus, when you book at Seachange Lodge you will be giving some really great local kids the opportunity of a lifetime – a high school education. © 2019 Sea Change Lodge. Website by Polinet. Love at First Site.